We would like to know or if you can check for us or if you have this information: restaurants in Marbella in special pizzerias where I could go with two celiaquie children (gluten free dish). 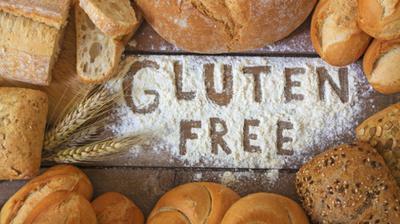 Check out Local Gluten Free Restaurant & Food Tips in Marbella for recommendations directly from the community. If you have a recommendation of your own - post it to the comments here. Hundreds of families review this page each month for ideas on safe, healthy and friendly places for gluten-free food in Marbella. The Farmacy also serves gluten free food. Their menu del dia is always gluten free as well as vegan; just make sure to say you want gluten free so they can ensure to cater to you. Most of their cakes are now gluten free and vegan too...and very yummy! La Cocina in Benahaivs is a great spot. The staff are always really friendly and great with kids. My daughter is coeliac and they have been really helpful catering for her. Try Bellaria Cafe in Nueva Andalucia (next to the Casino). They make gluten free bread and cakes. They are really good at what they do and all of their gluten free, sugar free and organic items are fantastic. I couldn't tell the difference between this and the real thing. Terra sana does not have any glutenfree courses. I have just been at La Canada and the waiter was rude and did not know What gluten was. Really bad experience. There is a restaurant called Mozaic restaurant & lounge which has a dedicated gluten free menu, the owners daughter is a Celiac so they have a lot of experience with gluten free foods. This café (Avenue Cafe) is great!!! I’m a Coeliac and have been visiting Marbella regularly for the past 5 years, I’ve been to Marbella 3 times in the past 12 months alone. I love this café! It has a wonderful day menu and even better evening menu. We ended up eating here most days, sometimes twice a day!! My friends, (who are not Coeliac’s) also loved it. Really friendly staff, great service, the food is brilliant and very reasonably priced. We kept coming back because there were so many dishes to choose from – tapas, salads, steak, thai curry and great desserts. To finish off most meals I had a fabulous gluten free chocolate and almond cake! This place is a must if you’re visiting Marbella. New vegan place, maybe they also serve gluten-free food. Terra Sana have quite a few gluten free items on their menus...and they are really helpful if you want to request special foods...give them a call to check what they can do. Post your own submission to the Marbella Community! It's easy to do. How? Simply click here to return to FOOD & DRINK - ORGANIC.